"From little things, big things grow"
"From little things, big things grow" The Global Classroom Project is intended to provide online collaborative spaces, global network (PLN), and resources for teachers and students to share, learn and collaborate around the world on a range of global projects. Over the course of 2011/12, we will be hosting YOUR global projects, enabling teachers to collaborate across a range of year/grade levels and learning areas. We'll share your ideas with our global network; publicise & showcase students' learning on our official wiki & blog, and direct you to whatever online resources and PLN talent you need to make your ideas a reality. We'll provide the spaces, and let you run with it!" "=Since expanding the project in June 2011, we’ve built vibrant online collaborative spaces and a global network, helping teachers and students around the world to explore new ways to connect, share, learn and collaborate globally. We’ve grown to include over 300 K-12 from 35 countries around the world; and have hosted over a dozen global projects - organised and run by our participants. 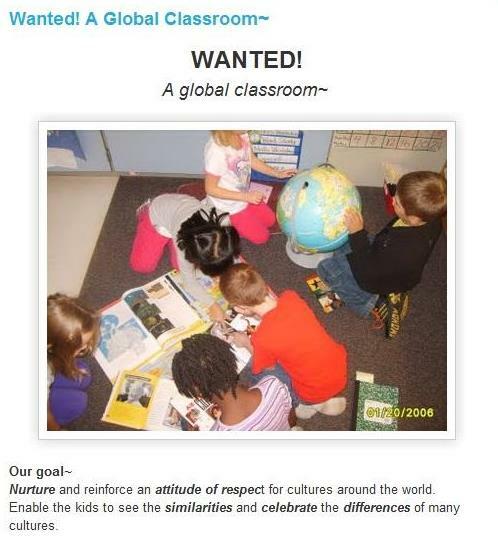 You can find out more about our history, and projects by visiting our current wiki – at http://globalclasroom2012-13.wikispaces.com."